Drop the Fear comprise of Ryan Policky: Vocals - Guitar - Bass - Keys - Programming, Sarah Marcogliese: Vocals - Guitar - Keys - Programming, and Gabriel Ratliff: Drums - Keys - Programming. Although not a fan of this band, I can only attempt to give you an honest opinion of what they sound like. There are references in the bio to Massive Attack, and I can see certain similarities within the background beats and sounds, and this will be a guide for those of you interested. In a fashion, to me, it has a pop feel, or rather a commercial slant to it, even though it is atmospheric. And I find in this day and age you get atmospherics in all kinds of genres, but for some reason Drop the Fear, to me, seems aimed at a commercial breakthrough. Have you ever heard of The Cranberries??? If so, this music is very similar in the songs, and in certain other tracks, and in a way, and in my opinion, it is a mix of both Massive Attack and The Cranberries, even though I could also mention similarities of Portishead and Lamb, among a host of others. 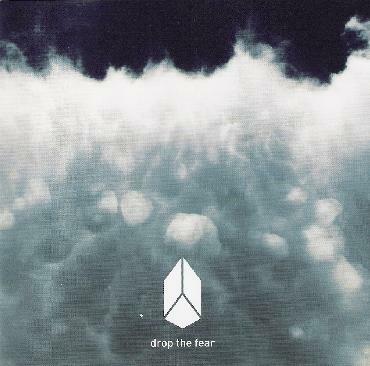 Even though there is a Massive Attack style, or similarity, in the beats and in the programming, I can also say that Drop the Fear have their own distinct sound, and a lot of tracks flow like Massive Attack. But underlying this I cannot help but feel a Cranberries feel in certain songs themselves and also in Sarah's vocals in places. And it is for this reason that I used the word 'pop'. Not in a Kylie way, but rather in the proper meaning POPULAR, because I've heard of both Kylie and The Cranberries and both to me are shite, but nonetheless they have penetrated into my awareness through brainwashing of the media, etc. So to say that it is commercial is not a problem because it is more commercial than underground. Because now that the underground is commercial everyone is doing something supposedly underground. I'm sure that this style would do well in England rather than America because it has definite influences from England. And on that side of the fence there are still a lot of people into this type of music. To give it credit the whole thing is done very well. The production and the musicianship are not to be questioned, and the energies that are created are spread throughout the album with an evolving feel rather than a collection of songs feel. So in this respect it is an album and it is for this reason among others that I am not slating it as much as I could. As I'm writing this I am hearing aspects of The Sundays in one of the tracks, similar sounding vocal to Harriet Wheeler. Just thought that I'd say that in case some Sundays fans are reading this. Highly doubtful, but just in case…. On the whole it not my cup of tea and I probably will never listen to it again. But that, as I say, is down to me and my obscure taste in music and not the CD's fault. But in the world of psychedelic music, and the genres dealt with in this magazine, Drop the Fear to me do not fit the tag. So I review this basing my assumptions on that and can only add that Sarah has a good voice and stirs passion in the songs and carries the songs along. And, of course, the rest of the band play their parts with equal passion and together they are doing what they want to do, and I cannot knock them for that. Because at least they have music oozing through their veins and they are doing something creative about it. For more information you can visit the Drop The Fear web site at: http://www.dropthefear.com.